As real-time communications services are increasingly moving to the cloud, one of the biggest impacts and potential for growth revenue is coming at the intersection of software innovation and dramatically changing consumer behaviors. 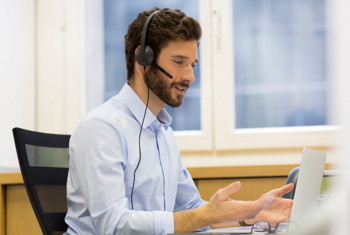 After a great run for the last few decades in improving contact center enablement software, reducing the time it takes to respond to questions, reducing the traditional costs associated with toll-free support, and reducing general frustration by improving IVR intelligence, service providers (including Business Process Outsourcing companies offering customer-service-as-a-service) are having to re-think everything. Customers today expect fast, accurate and friendly as the ante. 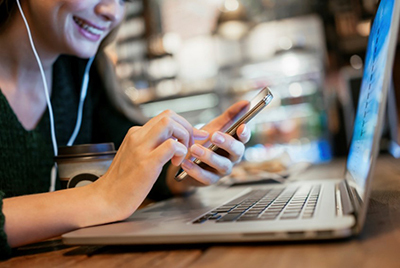 Customers are more hyper-connected than ever and moving more and more of their personal and business conversations to messaging apps and social media. Customers are on mobile apps and the web and many prefer self-service over having to wait, who knows how long, to speak to a customer service representative. Customers are more and more likely to prefer speaking with an AI-powered bot, given their adoption of services like Siri, Alexa and other friendly assistants. Customers expect brands to already know them, as concerns regarding privacy are diminished in exchange for better experiences; take Amazon's recommendation engine, for example. Customers want choices - while at their kids soccer game, they may prefer to Tweet a question about a feature on their smartphone, but when they are home and trying to figure out how to connect their expensive new home entertainment system to a cable box, they may prefer to speak with a live expert who can use that customers' same smartphone camera to send live images of the cable box to that expert who can then virtually replace a truck roll, saving time on both sides. This list goes on and on, with service applications that can make or break a brand's popularity for being easy to interact with, beyond the quality of their products and services. We have written before about our work with IBM and Watson, and how cognitive computing is changing the face of customer service by enabling live agents to serve customers better (serving up answers in advance based on "deep listening" to the customers' voice, level of potential unhappiness or even anger, based on the customers' perceived tone, and connected with the customers' account and history of contacts). We are only at the beginning of the disruption cognitive plus contact will create, and yet we continue to push ourselves, at GENBAND, including with many Kandy "Wrappers" (pre-configured ready to deploy real-time communications apps) powering customer engagement today knowing that moving to the cloud means endless opportunities in this space. Cloud communications over transformed IP networks makes much more than enterprise and business collaboration possible internally, even though we've seen growing interest and deployments of our virtualized messaging, voice, video and collaboration (UC) services given the dramatically better experience cloud makes possible. Cloud communications over transformed IP networks also includes consumer services, for example our extremely popular Kandy Consumer Service, which powers Deutsche Telekom's immmr’s service globally, one of many large deployments we've supported for peer-to-peer and multi-party family and friends communications. Cloud communications over transformed IP networks also enables lightweight business apps our customers are rolling out into the market every day, like our Business Phone service, making it safe and easy to split one smartphone into two domains, for personal and business use. And now we are supporting awesome partners and customers of our own, like Five9, to enhance their industry-leading real-time cloud-based contact center solutions, replacing the need for expensive, cumbersome, traditional telephone-based services. We are also working on improving not only the infrastructure for massive cost savings (using our cloud-native SIP solutions, secured by our award winning Session Border Controllers) - but delivering disruptive applications through our Wrappers that blur the lines between self-service, AI supported agents, bots and more. These applications include embedded real-time communications inside of web pages and mobile apps that make it possible for customers to reach brands with a single "touch" for highly intelligent interactions. According to Gartner, 75 percent of a company’s touch points with their customers are customer service interactions. Every industry today is being disrupted, and smart companies are changing the way they interact with customers as they change the way they do business. They no longer look at "contact centers" the same way, and certainly no longer view them as cost centers. They look at "customer experience" as a means to sell more products and services into their customer base, while also differentiating with excellent experiences to beat the competition. Finally, they see the longer-term potential to improve everything they do by harnessing the data that comes out of cloud-based customer engagement software solutions, enabling them to build relationships, make "Amazon" like recommendations, to build social capital, and take advantage of "earned media" through reviews, referrals and much more. Customer Engagement at this level of intensity is impossible to deliver and manage over "private lines" and equipment-heavy, clunky legacy networks and expensive, aging physical contact centers. Well-engineered and supported over increasingly high quality and highly resilient IP network infrastructures, "billions of conversations" each year are helping brands redefine themselves and helping new brands launch using the Internet and public cloud, or using virtualized private networks and related virtualized services for the most secure interactions in healthcare, financial services, government and more. Customers today choose the channels they wish to interact with, and cloud makes channel switching easier for all. We're excited to be a pioneer, yet again, in network and digital service transformation, combining virtualization of network functions for more powerful and economical open telco cloud with GENBAND's core services, with the upside of Kandy's applications operating on the highest levels of the stack, and making multichannel, cognitively brilliant, and endlessly creative customer experience hubs possible.